It’s pretty simple—disobedience to God is sin. Clearly, sin separates us from God. He despises sin and doesn’t want to be anywhere near it. Isaiah 59:1-2 says, “Surely the arm of the Lord is not too short to save, nor His ear too dull to hear. But your iniquities have separated you from your God; your sins have hidden His face from you, so that He will not hear.” This verse confirms that sin and an unrepentant heart can keep God from hearing you. When He hides His face from you, most likely, He will not speak to you either. Does sin, or disobedience, stand in your way of hearing God’s voice? Confession of sin is not only required by God—it is necessary for your own peace of mind. Confessing your sin, turning from it, and attempting to lead a clean life of obedience open the door of communication between you and God. In our humanness, we won’t ever be completely free of sin on earth, but we should try to live our lives in a different way than the rest of the world. Of course, if you’ve never confessed your sin and accepted Jesus as your Savior and Lord, then you already live apart from God, and the Holy Spirit does not occupy your heart. In that case, you should not expect to hear God’s voice within at all. If that’s you, please click on the Ground Zero link below and view the video in which I share the Gospel of Good News. Learn more about how to invite Jesus into your heart and begin a new relationship with Him. When you do, God’s Holy Spirit, and the ability to hear His voice, are God’s amazing gifts to you. 1 John 1:8-10 says, “If we claim to be without sin, we deceive ourselves and the truth is not in us. If we confess our sins, He is faithful and just and will forgive us our sins and purify us from all unrighteousness. If we claim we have not sinned, we make Him out to be a liar and His word has no place in our lives.” Sounds like it’s not if we sin, but when we sin, confession is required. Then, God is faithful to forgive us and cleanse us. Our full acceptance of His pardon releases us from all guilt and shame for that offense. God remembers our sins no more, so we can forget them also, and strive to do better next time we are tempted. Even after accepting Christ as my Savior and being a Christian for many years, it’s still nearly impossible to live a sin-free life. That’s the goal, but sadly, in my humanness, it’s not achievable on this side of the pearly gates. Jesus is the only person who ever accomplished that feat. One role of the Holy Spirit is to empower me to overcome temptation and resist sin. However, if I am not tuned in constantly, listening to God’s voice within, or if I am not willing to obey Him, I will fall short of God’s glory. Therefore, it’s still possible, on any given day, that disobedience, unconfessed sin, rebellion, or repetitive sin could erect a roadblock that impedes my clear communication with God. No matter how hard we try to defeat sin, at times, it becomes our master. Thankfully, we serve a High Priest who hears our confessions and daily intercedes on our behalf, restoring our relationships with God the Father. We worship an awesome God who sent His Son to be a sin offering in place of us, and then, He also sent us the gift of the indwelling Holy Spirit to empower us to live our lives according to the Spirit rather than the sinful nature. Satan has only as much power as we give him. How powerless have you become? Whatever your weakness, it’s time to take back control! All of it! We’ve been given Jesus’ authority over all sin. We have the same power that raised Jesus from the dead, and He lives inside us. Instead of relinquishing our power to the adversary, we must draw on the strength of the Holy Spirit within us to resist temptation and our tendency to believe the lies Satan introduces in our thoughts. We have the ability stand firm in our faith and resist all temptation because the Lord does not allow us to be tempted beyond what we can handle. “No temptation has seized you except what is common to man. And God is faithful; He will not let you be tempted beyond what you can bear. But when you are tempted, He will also provide a way out so that you can stand up under it.” (1 Corinthians 10:13) Our brothers and sisters in Christ, who live in all parts of the world, suffer similar trials. Be vigilant about guarding your heart and your mind. Do not allow the deceiver to carry out his battle plans on your watch. When I stood on the sidelines of life and did not participate in the big game, the devil did not need to concentrate his focus on me. The moment I invited Jesus into my heart and sought a more intimate relationship with Him, I enlisted in the battle of good vs. evil. Choosing God’s side, I put a large target on my back for the dragon, Satan, to take his aim. Satan sat up, took notice, and stepped-up his plan of action to derail me. Most often, the common battlefield is our mind. 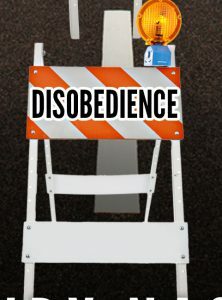 Satan will continue to sway us toward disobedience. But Jesus triumphantly conquered this battle for us already. We can claim our victory over sin in the name and blood of Jesus Christ. 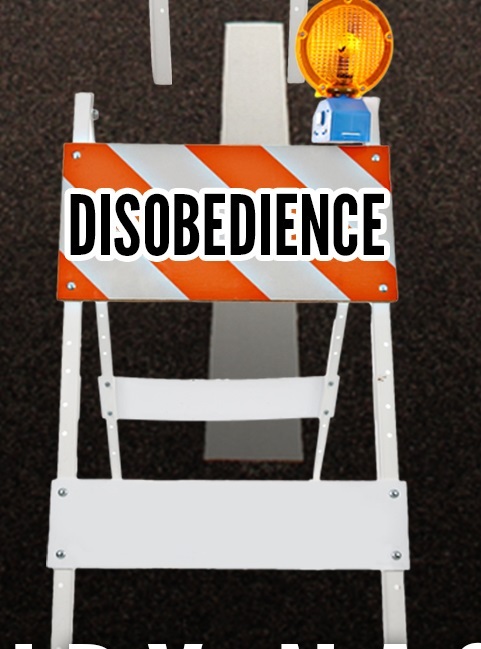 Turn from your disobedient ways. Immerse yourself in the Word of God. Meditate on it day and night. Dress yourself in the full armor of God. Be ready to draw the sword of the Spirit by being prepared with Scripture to battle temptation and lies. Know your weak spots and vulnerabilities. Take control of all your thoughts and make them obedient to Christ. Remove any other roadblocks between you and God. Listen to the still, small voice of the Holy Spirit all day long. Obey the voice of God in your thoughts. Has the devil ever captivated your thoughts with the following deceptions? If not the lies listed below, then identify any other lies regarding sin that you have believed and disprove them with the truth from Scripture. #1: Your sins are too big for God to forgive. #2: You need to keep asking for forgiveness for the same sin. 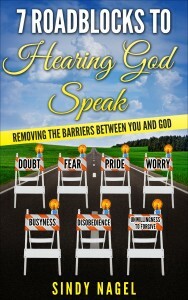 #3: God will never speak to you because of your sin or past. Click here to purchase book today.